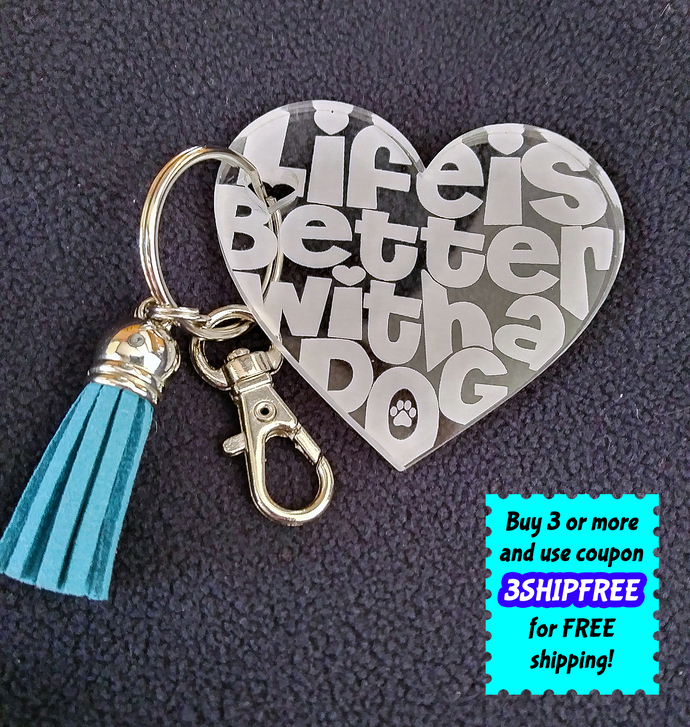 The perfect Valentines day or any day gift for the dog lover in your life! 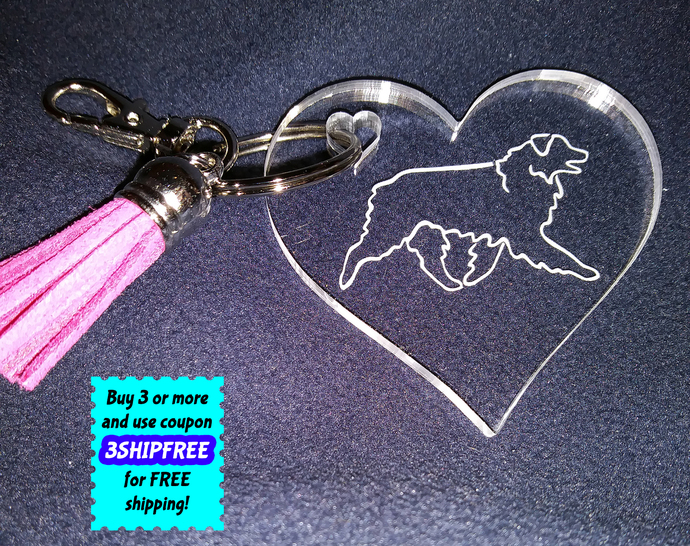 These laser cut and engraved acrylic hearts can be used for keychains, zipper pulls, bag tags, and many other uses. Made of 3/16" (4.5mm) clear acrylic, they are approximately 2" high and 2-1/4" wide and come with a one inch split ring, lobster claw clasp, and tassel. Tassel colors vary based on availability, please allow us to choose for you (However, if only a particular color will work, please contact us for availability BEFORE ordering). And if you're buying 3 or more, be sure to use coupon code 3SHIPFREE for FREE shipping!!! NOTE - this listing is for one (1) heart shaped engraved acrylic keychain as described above. We ship all items through the USPS, usually within 1-3 business days. Shipping to the lower 48 states, AK, and HI only. No shipping to APO/FPO's or P.O. Boxes, no International shipping, and no local pickup. We are not responsible for lost, damaged, or stolen packages; for these issues please contact the USPS directly. ?? 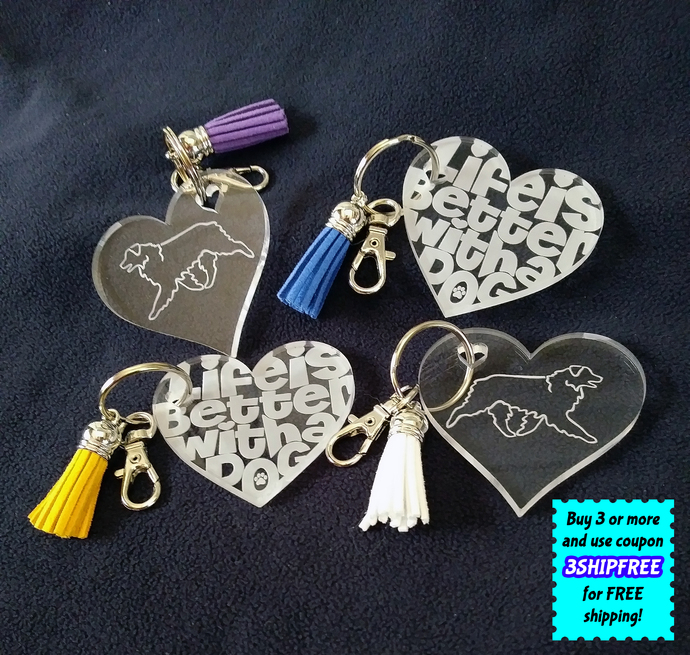 INTERESTED IN CRAFTS4K9RESCUE CUSTOM ITEMS ?? NOTE: Please contact us with your ideas and specifications.